Aug 15, 2011 - ATTENTION - We had difficulties receiving form emails from approximately July 27 to August 10. Our ISP has since fixed the problem, but if you filled out ANY CPCRN form between those dates, we probably did not receive it. If we did not contacted you about your email, yours was among the missing. If you would do a REPLY ALL of a copy of your auto response email, we will contact you. We are very sorry for the inconvenience. We were told it was fixed on Aug 10. If you filled out a form or sent an email to us in that time period, please resend it - or send your copy of our form to us. Thank you again for your patience. What is animal neglect or abuse? Most people have probably seen an animal at some time in their lives that they truly felt was being mistreated or neglected. Knowing that an animal is being neglected or abused is difficult to see and it could also be difficult to talk to those who own the animals about the neglect. With the link below, you can now report animal neglect anonymously. Animal neglect may be subtle or blatant. One common example of animal neglect could be a neighbor who leaves their dog outdoors in weather that is unseasonably cold or hot without proper shelter or protection from the heat or cold or without proper food or water. Animal neglect MUST be reported to your local humane society or shelter. Their telephone number can be obtained from any veterinarian or through directory assistance or in the yellow pages of your telephone book. In most states, counties and cities across the United States, companion animal abuse and neglect is a criminal offense. Although most crimes are Class A misdemeanors - the equivalent of a 'slap on the hand' - these crimes are punishable if reported and prosecuted. Keep this in mind the next time you see a dog that in your heart you feel is being mistreated in any way. Many people feel threatened by strangers. Sometimes trying to convince a close friend or fellow co-worker to change how they treat their pets is difficult and feels awkward or intrusive. Remaining silent only prolongs the animal's suffering. PLEASE speak out. You can help save a life. CPCRN Animal Neglect © Copyright 4/1/2001. Please contact ggreyfriar@aol.com for permission to copy or reprint. Please complete this form to report a Cairn Terrier or a Cairn Terrier Mix that may need to be rehomed for any reason anywhere in the United States. We work with volunteers throughout the country and through many Cairn Terrier Clubs and we may be able to help. Please be sure to provide us with as much detail and information as you possibly can about the Cairn in need. This would include the location, the name and telephone number of the person to contact. ALL information provided will remain confidential. Thank you. 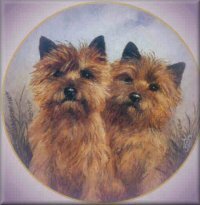 Also known as an "owner turn-in"
Occasionally it becomes necessary for an owner or one who has power of attorney over a Cairn Terrier through the death or incapacity of a loved one or friend, to find a new home for a Cairn that can no longer be kept in a home with the owner or caretaker. For this reason Col. Potter Cairn Rescue Network has provided an "Owner Surrender" form on this site. We realize that occasionally, those who have a Cairn Terrier are not able to keep their dog. The decision to surrender a dog to rescue should not be taken lightly. We welcome any correspondence or questions that you may have regarding this move. 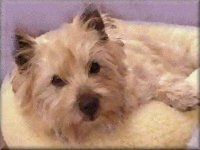 If you currently have a Cairn with behavioral problems, we invite you to visit the links area on this site. There are many great articles and books that deal with dogs with behavior problem. The same applies with training and health issues. Often, through a renewed training effort, many owners are able to keep their Cairn. The following link may help you with this hard decision: www.wonderpuppy.net. If you find it necessary to surrender your Cairn to rescue, PLEASE take as much time as needed to reach this decision. Once you have surrendered your dog to rescue, your release is legally binding. The final decision to accept your dog into the CPCRN rescue program rests solely with CPCRN. It is important to know that if you do try to place your Cairn yourself, PLEASE spay or neuter your pet PRIOR to offering your Cairn for adoption if your Cairn has not already been altered. There are many unscrupulous back yard or puppy mill breeders who watch newspaper advertisements on a daily basis and present themselves as an owner looking for the perfect pet. These puppy mill brokers can even show up at your home with what appears to be their spouse and children. Registration is not important to mill breeders. They look ONLY for the ability to breed a pure bred dog, and they will supply their own registration. Dogs are also obtained for medical research. This information is not to frighten you: it is only to make you aware of the importance of screening your potential new owners. Col. Potter Cairn Rescue Network is also more than happy to work with you to help with your placement. After completion and submission of this agreement, you should receive a copy via e-mail shortly. Please be sure to enter a valid e-mail address before submitting the agreement. Instructions: Part I of this Release of Ownership Agreement (this "Agreement") is designed to provide Col. Potter Cairn Rescue Network with adequate information on the Cairn Terrier or Cairn Terrier mix (now referred to as the "Cairn") that you are releasing to Cairn Rescue. If this is a mix, what is the mix? Where did you obtain this Cairn? How much does the Cairn weigh? Please list in detail the brand and type of food you feed (both dry and moist). The information you provide in this section will be used by Cairn Rescue to (i) determine the feasibility of placing the Cairn in an adoptive home and (ii) make an informed decision with respect to the allocation of rescue resources then available. Your submission of this Agreement (i) authorizes Cairn Rescue to contact the veterinarian listed below and obtain copies of any and all veterinary records for the Cairn if Rescue considers it necessary or advisable, and (ii) irrevocably authorizes the veterinarian listed below to provide such records to Cairn Rescue and candidly discuss the health of the Cairn with Cairn Rescue. When was your Cairn last tested for internal parasites (worms)? Diabetes, Cushings or Addison's disease, thyroid, epilepsy or seizures, hip dysplasia, skin allergies, incontinence, luxating patellas, heart or breathing difficulties, liver, bladder or digestive problems? Does the Cairn currently have any other condition that requires medical treatment or special care? What are three traits you would change about the Cairn if you could? Where does the Cairn sleep at night? This is a legally binding document for the irrevocable surrender of your Cairn to Cairn Rescue. Please read it carefully and completely before submitting it. Take as much time as you need to fully consider this important decision. If you have any questions, please contact us. Your signature will be required prior to surrendering your Cairn. You must also provide proof of being of legal age in your state to sign contracts. Photographic identification with your current address will be required prior to surrender. For good and valuable consideration, the receipt and sufficiency of which I hereby confirm and acknowledge, I, being over the age of 18 years and of sound mind, hereby irrevocably and unconditionally surrender to Cairn Rescue for placement and adoption, the Cairn described in Part I of this Agreement. I understand that by executing this document, I am giving up forever all right, title and interest to such Cairn, and that all future decisions regarding the placement of this animal will be made solely by Cairn Rescue. I also understand that if this Cairn is later found to have such an unpredictable temperament as to be unsuitable for any placement, or if the Cairn's quality of life is substantially impaired, in the opinion of a competent veterinarian, by a chronic, irreversible and/or painful condition, Cairn Rescue may consider euthanasia as a final alternative to adoptive placement. I represent and warrant that the information provided on Parts I and II of this Agreement is the truth to the best of my knowledge and belief and agree (jointly and severally if this Agreement is executed by more than one owner) to hold Cairn Rescue, its officers, directors, representatives and volunteers, and any other group or organization that may place this Cairn in reliance on the information provided in this Agreement, harmless from any loss or injury resulting from any false information or misrepresentations that I may have submitted or made in this Agreement. I further represent and warrant to Cairn Rescue, its officers, directors, representatives, and volunteers, that I (and if applicable, any other signatories to this Agreement) (i) am/are the sole owner(s) of this Cairn (ii) have full power and authority to surrender this animal for adoption (iii) am/are the only person(s) listed as the registered owner(s) of this animal with the AKC (if said Cairn is registered). If the Cairn is AKC registered and I have indicated in Part I that I am able to provide AKC Registration Papers for the Cairn to Cairn Rescue, I agree to deliver to Cairn Rescue a properly signed transfer of such AK registration papers, omitting the name of the transferee, and hereby designate and authorize Cairn Rescue as my agent and attorney-in-fact for purposes of designating a transferee and inserting this name on the AKC registration form. PLEASE NOTE: the use or duplication of this form is expressly prohibited without written permission from ggreyfriar@aol.com if the entity is not associated or affiliated with Col. Potter Cairn Rescue Network.